Tibetan religious leader Tenzin Delek Rinpoche, 65, has died in custody, a Tibetan exile group announced on 13 July 2015. Mr Rinpoche had been arrested in April 2002 and had been serving a 20-year sentence since, on charges of "terrorism and inciting separatism". This community leader was known for his activism which had made him a target for Chinese authorities. One of the most prominent Tibetan religious leaders in Chinese custody has died, a family member and a Tibetan exile group said on Monday. 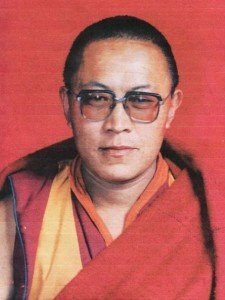 Tenzin Delek Rinpoche, 65, died while serving a 20-year sentence on charges of “terrorism and inciting separatism” in Sichuan Province, his cousin Geshe Nyima said by telephone from Dharamsala, India. Students for a Free Tibet, a Tibetan exile group based in New York, also reported his death, citing family members and other people close to the monk. Chinese officials informed Tenzin Delek’s two younger sisters of his death by telephone on Sunday, offering no further details, his cousin said. The sisters could not immediately be reached. Tenzin Delek was arrested in April 2002 in connection with a series of bombings in Chengdu, Sichuan’s capital. In December of that year, he was given a death sentence with a two-year reprieve, meaning that the threat of execution would be lifted after two years, contingent upon good behavior. A co-defendant was executed in 2003. Tenzin Delek denied the charges against him, Human Rights Watch said in 2004, citing a tape recording secretly smuggled out of prison. His sentence was later commuted to life imprisonment and, in 2005, reduced to 20 years in prison. The monk was a community leader among Tibetans in eastern Sichuan and had spoken out against deforestation, Tenzin Dolkar, executive director of Students for a Free Tibet, wrote in an email. “Tenzin Delek’s activism on this range of issues made him a target of the Chinese authorities, who for 10 years attempted to limit his work and influence,” he wrote. Tens of thousands of supporters in his home county of Litangin eastern Sichuan signed a petition demanding the monk’s release, he wrote. Tenzin Delek’s family was last allowed to visit him in a prison in Chengdu in November 2013, said Geshe Nyima, his cousin. Last year, the family requested that he be released on medical parole, citing a heart condition. The request went unanswered, the cousin said. Last week, he said, local officials told relatives that they would finally be allowed to visit Tenzin Delek. Two sisters travelled to Chengdu to visit the monk, but their appointment was repeatedly postponed. On Sunday, they were informed that he had died, the cousin said. Photo courtesy of the Tibetan Women's Association.